We are so excited to be kicking off our next three weeks of Guest Designers and up first is Miss Laurel Beard! Welcome Laurel! She will be joining us weekly and has some amazing projects to show you! Hi there! Laurel Beard from www.laurelbeard.org here today and I am thrilled to be guest with So Suzy Stamps this month!!! 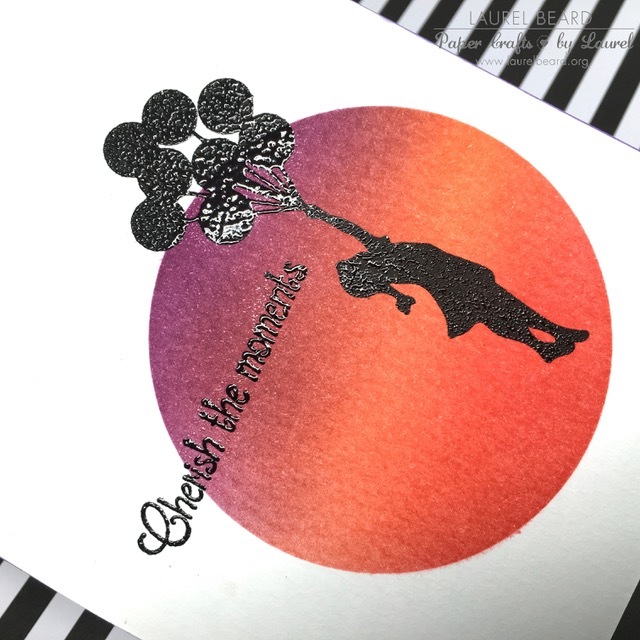 Today I have a card to share with you that incorporate simple techniques such as: stamping, masking and heat embossing! 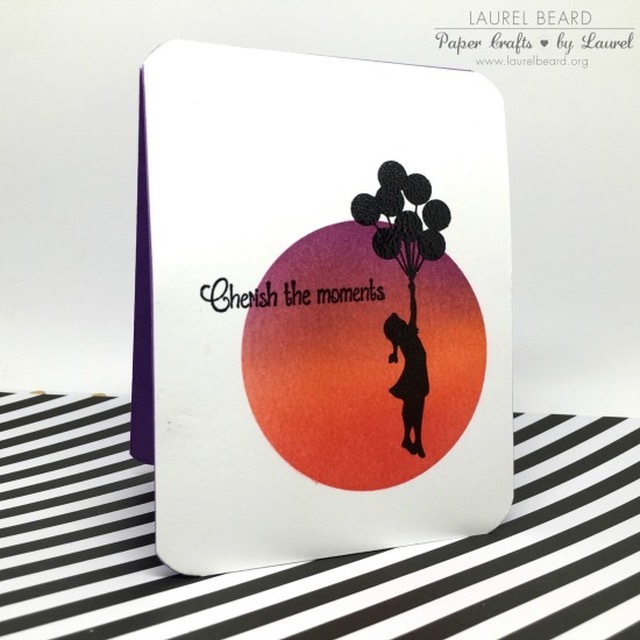 I used the Girl with Balloons and the Cherish the Moments set and paired it with some distress inking and a masked circle and I just love the way it turned out. You can watch the video on my youtube channel by clicking here or you can watch it right here on the blog. Don't forget! Free shipping from December 1st-15th over at So Suzy Stamps!